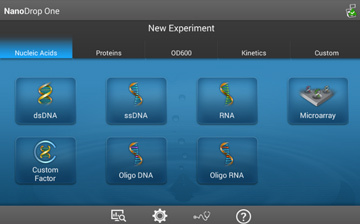 Quantify and qualify DNA, RNA and protein samples with only 1-2 µL and have full-spectral data in seconds. 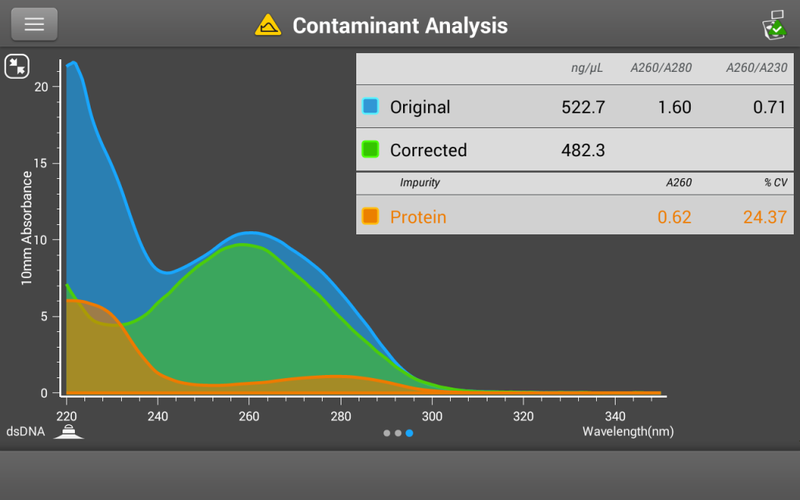 The Accloaro Software identifies contaminants, monitors sample column for bubbles and provides feedback about sample quality with information to help with troubleshooting. A standalone unit with a high resolution touchscreen interface, local control features and guided method analysis to save you time and bench space. 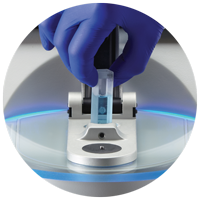 The patented NanoDrop sample-retention system enables direct microvolume measurements from 1–2 µL of sample. Eliminates the need for expensive slides or special accessories. Ergonomic design with tilting and sliding screen accommodates both left- and right-handed users. Auto-Measure feature adds speed and convenience, delivering results with full-spectral data in seconds. Print results for your laboratory notebook using an optional thermal printer, or tag and transfer data via USB, Ethernet, WiFi or an external computer. Provides flexibility for extended analysis and electronic archiving. Powerful auto-range path length technology means accurate measurements for highly concentrated samples without the need for sample dilutions. No prior knowledge of sample concentration needed. 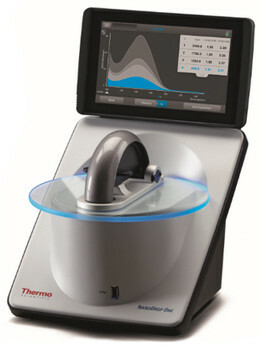 The Thermo Scientific™ NanoDrop™ Onec spectrophotometer adds experimental flexibility and increases the dynamic range. Use cuvettes to measure diluted samples and optical density of bacterial cultures or to perform kinetics experiments. Includes cuvette temperature control and stirring. Cuvette position can be used with instrument arm up or down. Get 15% discount, when you purchase the newly launched NanoDrop One / Onec if you provide us with your current NanoDrop Model Serial Number, it must be NanoDrop 1000, 2000, 2000c, 3300 or 8000. For more information about the promotion, please click here.